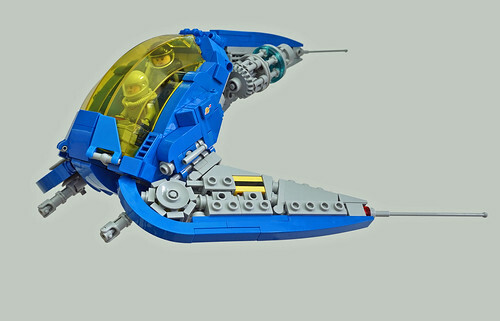 Tim Goddard unleashes this new classic space starfighter on the galaxy! Check out the engine detailing in the rear, the greebling on the wings, and the smooth integration of the cockpit into the main body of the spaceship. Every year, we see more and more crazy spaceship designs using the classic theme that LEGO did years ago. Builders like Tim are doing a fabulous job at keeping this theme alive today.